This very elegant lamp was made by Daum Nancy in France in the Art Deco period. 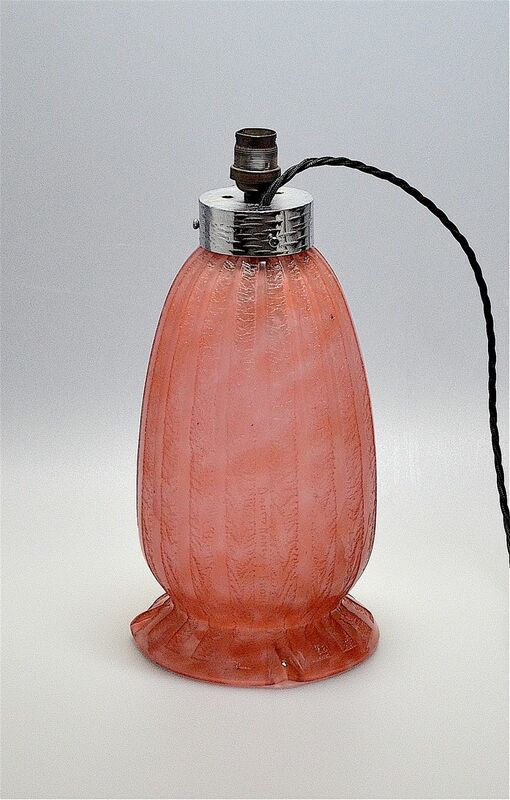 Made in mottled pale and darker pink glass it has a round domed foot supporting a baluster shaped base. The lamp is decorated with acid etched vertical "stripes". It has a round textured chrome top that that is held in place by 3 screws. It is signed Daum Nancy and has the Cross of Lorraine mark. The lamp is also lit from within to show the glass to its best advantage.